5/21/2017 @ 3PM Update - Jlongpedia is now back online. As I believe since it was un-suspended in just one day that is was just a false positive with Google's auto systems. 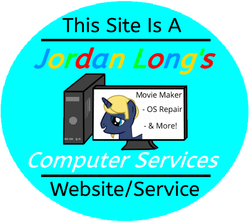 As of 5/21/2017, my Google Sites site, Jlongpedia at the URL of https://sites.google.com/site/jlongpedia/ has been suspended due to as Google states on the top of the site " violations of our Terms of Service". As stated on the top of this site, at the 3rd bullet point it says "Google Apps Sites are not prone to disablement due to false positive violations of Terms of Service relating to the Site"
This has me believing that my site is just a victim of Google's auto systems giving a false postives. As I have looked over the Terms for Google Sites and I do not see anything I have done wrong. Like I said, a false positive of Googles auto run systems. Someone reported copyright violation, as to maybe they were a artist or fan of a artist and though I did not get permission to use the art, even though I did, that they do not know that the site is owned by the same person that did ask and get permission for to use the art. As stated on Google Forms/Groups by someone. That maybe having to many outgoing links made Google systems auto detect that the site might be a spam site and suspended it. I have contacted Google (by clicking the "Appeal" link on the top of my site) and am waiting to hear back on it. Will update this blog post with more info as it comes. This is the official blog of Jlong Media. Also follow social media for updates to. Follow Jlong Media on Social Media!